Recently at one of our Shaker Nights we were asked by a guest what a flip was, how one flipped, why and what exactly it brought to a cocktail. 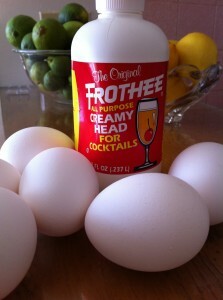 This brings about the whole “yeah or nay” on raw eggs debate. Wars were fought over less. So, salmonella scares aside- a flip (adding egg whites to a shaken cocktail) is simply a way to add body and create a foamy top to the drink. Shaker One thinks you do achieve a more smooth mouth feel with the egg whites, but it in no way affects the overall flavor of your drink. Which do we prefer? We of course decided to do a head to head taste test (so to speak). And the verdict? The Shakers both enjoy them either way. 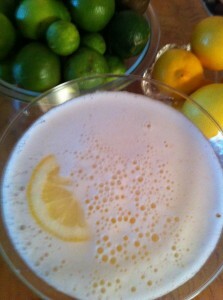 Certain martinis lend themselves to the foam. The Earl Grey MarTeani, for example, suffers from the absence of the egg if you leave it out. 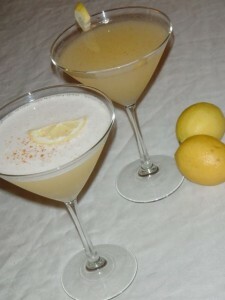 The Spicy Lemon Drop can be enjoyed equally either way. Bottom line, like so many other things it comes down to personal preference. Flip or don’t. Whatever floats your boat.